Police investigating the murder of a man in a drive-by shooting have made a fresh appeal for information after a "limited" response from the public. 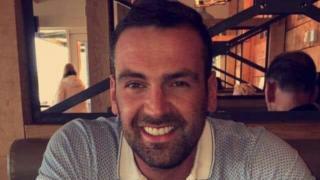 Gary More, 32, died after the attack in Gartness, near Airdrie in North Lanarkshire, at 20:10 on Thursday. The suspects fled in a white Skoda. A car matching that description was later found burnt-out north of Glasgow. A similar car was seen at Towers Road, Connor Street, Burnhead Road and the Fourways roundabout in Airdrie. Police Scotland said there was also a possible sighting of a white Skoda Fabia near to Kirkintilloch, heading in the general direction of where the burnt-out vehicle was found in Balmore. Father-of-two Mr More was known to police and one theory was that the murder may be linked to a local dispute. Det Supt Jim Smith, from the Major Investigations Team, said: "Our priority is to trace whoever is responsible for this murder. "Although we believe Gary was the intended target, the shooting was carried out in a busy residential area with absolutely no regard for public safety. "The response received from the public has been limited. This is despite the fact that children and members of the public were there at the time and could so easily have been injured. I am urging anyone with information to please pass it on to police." He added: "We are doing everything we can to trace whoever is responsible and we would appreciate any assistance the public can provide, as even the smallest piece of information could be vital to this murder investigation. "It may be that people are reluctant to come forward, however, I would like to reassure people that information can be given in confidence."